The School of Mathematical Sciences is full of busy people cooking up fun activities and interesting ways to engage with our community. Join us on Wednesday, October 17, for an evening of mathematical fun! Guest speaker Dr. Jennifer Quinn will give a talk: "Epic Math Battles: Counting vs. Matching", to be enjoyed by people of all majors and all levels of math experience (Ross 1040, 5:00-6:00pm). Then, stop by the UC Panorama Room (6:30-8:00pm) for a festival of mathematical games, puzzles, activities, and entertainment! Everybody is welcome. Dr. Katie Morrison, in collaboration with Dr. Carina Curto of Pennsylvania State University, received a $1.1 million NIH Brain Initiative grant to support research on mathematical models of neural activity with an aim toward understanding how neural connectivity shapes the patterns of activity observed in different brain regions. Dr. Jodie Novak and Dr. Frieda Parker, received at $300,000 EAGER NSF STEM Teacher Leader Initiative grant which funds a pilot project to implement and evaluate a systematic, two-tier mathematics teacher leader development model for improving mathematics education. Congratulations to Dr. Hortensia Soto-Johnson, the twenty-fifth recipient of the Burton W. Jones Distinguished Teaching Award from the Rocky Mountain Section of the Mathematical Association of America. Dr. Gulden Karakok received the 2015-16 College of Natural and Health Sciences Faculty Mentor of the Year for Graduate Research award. Northern Colorado Math Circles hosts dinner sessions for middle school teachers and students during the year and will host a summer workshop with the Rocky Mountain Math Teachers' Circle. Each year, high school and middle school students from all over Colorado participate in the UNC Mathematics Contest. The first round is held in the fall in schools throughout the state, and then the top scorers from the first round are invited to the final round held on the UNC campus in January or February. For all the latest news about the UNC Math Contest, including information on how to register, please visit the math contest information page. In October, the School of Mathematical Sciences marks Martin Gardner's birthday with the annual Gathering for Gardner Celebration of Mind party. Last year, over 100 members of the university community enjoyed an evening of math puzzles, games and magic. Join us Wednesdays during school year for math fun and pizza. Dr. Jodie Novak, Dr. Rob Powers and Dr. Frieda Parker, in collaboration with Oklahoma State University's Dr. Mike Oehrtman have received a 3-year, $1.17 Million grant to support research aimed at improving training of secondary math teachers. For the study, data will be collected from 24 expert high school teachers as they plan, teach, and reflect on lessons. Ultimately, the research may contribute to better means of developing and assessing secondary math teachers' mathematical knowledge for teaching..
UNC now owns and operates an in-house 300-core High Performance Computing cluster, aka Supercomputer. The high-level computational capacity of the HPC cluster will be available to the UNC community for research and education in the areas of Computer Science, Mathematics, Biology, Meteorology, Physics, Statistics, etc. The cluster is funded by a National Science Foundation MRI grant awarded to Mehrgan Mostowfi as the PI, Seth Frietze and David Hydock from Biology and Wendy Flynn and David Lerach from Meteorology as the co-PIs. Dr. Anton Dzhamay is coeditor of a third book of proceedings,Nonlinear Wave Equations: Analytic and Computational Techniquespublished by the American Mathematical Society in 2015. 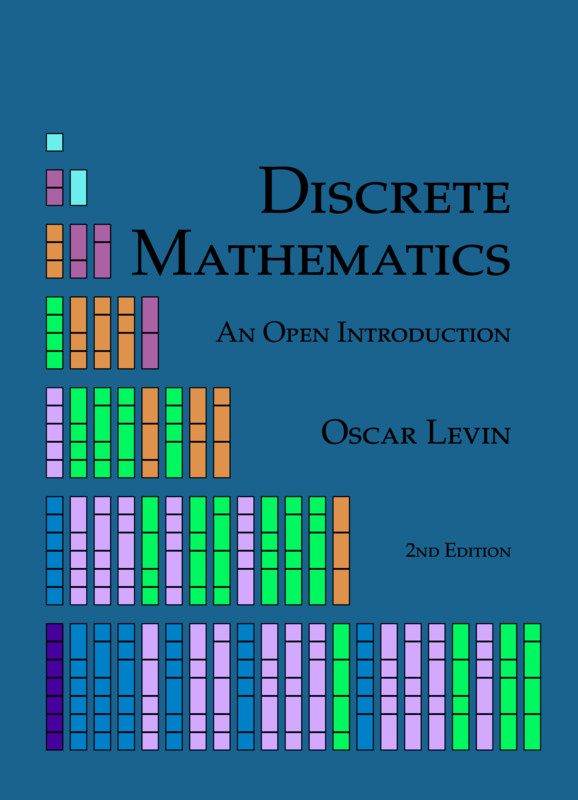 Dr. Oscar Levin has authored a Discrete Mathematics textbook. The book is freely available and completely open source, in an attempt to combat high textbook prices. More information and the free electronic version can be downloaded here. Dr. Ricardo Diaz received the 2014-15 College of Natural and Health Sciences Excellence in Service Award. Dr. Oscar Levin received the 2014-15 College of Natural and Health Sciences Faculty Mentor of the Year for Undergraduate Research award. See the News Archives for photos, announcements, and news from prior years.